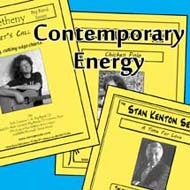 Festival 3-Chart Program - "Contemporary Energy"
Looking for a contemporary edge to your festival program? These 3 charts will provide your band with a contemporary feel covering 3 different styles: swing, ballad and funk. Your band is going to love playing these charts. Your audiences will love them even more!